Super Bowl is around the corner, and that means delicious bar food. Wings, mozzarella sticks, greasy burgers… and countless calories. It doesn’t have to be that way this year though. Sliders are the perfect football party food, and these lean ground sirloin burgers are packed with robust flavors. From the sweet balsamic glazed onions, the kick in the relish, to the juicy beef patty on the warm, crisp bun… these mini sliders are for sure to be the show-stopper at your Super Bowl Party. Preheat the grill. 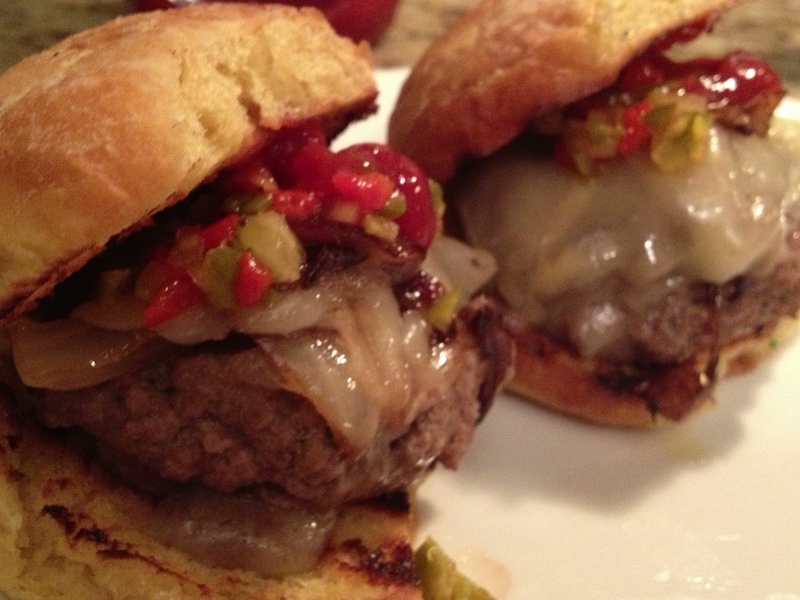 While the grill is getting hot, prep the Sweet Pickle & Spicy Pepper Relish. Mince all ingredients listed below the Relish line in Ingredients. Set aside in a bowl and chill in the refrigerator. The relish can also be made up to a day in advance. 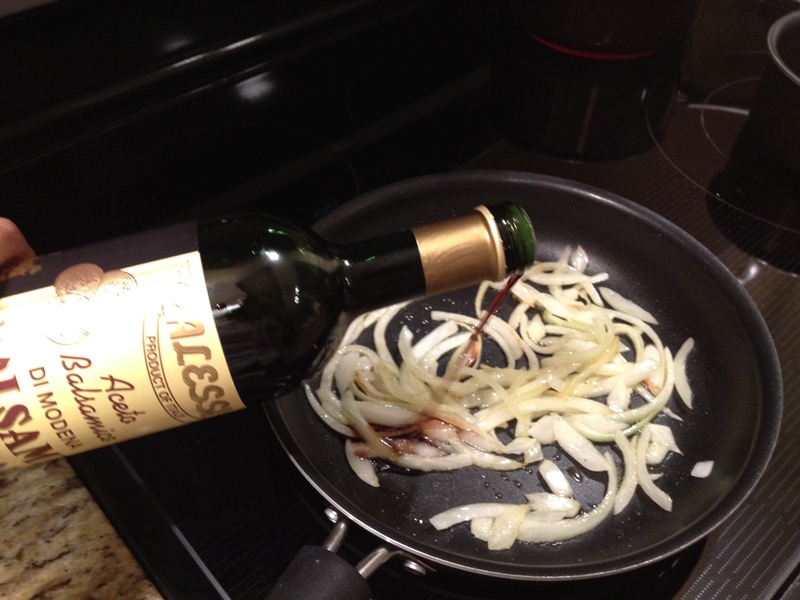 Sauté the sliced onions in olive oil over medium-high heat. Add salt and pepper, let simmer until the edges of the onions start to brown. Add the garlic and balsamic vinegar and continue to cook for a couple more minutes. Set the onions aside off the heat. Before you grill the sliders, toast the buns and set aside. In a medium-sized mixing bowl, add the ground sirloin, onion powder and worcestershire sauce. Mix the meat, thoroughly incorporating the seasoning – be sure not to over-work the meat though. Form the meat into small-sized patties, pushing a small dent in the middle of each patty with your thumb. This will allow a little “nest” for the grilled onions. Put the mini-patties on the grill and cook through, giving it about 2-3 minutes per side. In the last two minutes of grilling, top each patty with the caramelized onions and a slice of cheese. When the cheese has melted, remove the patties from the grill. 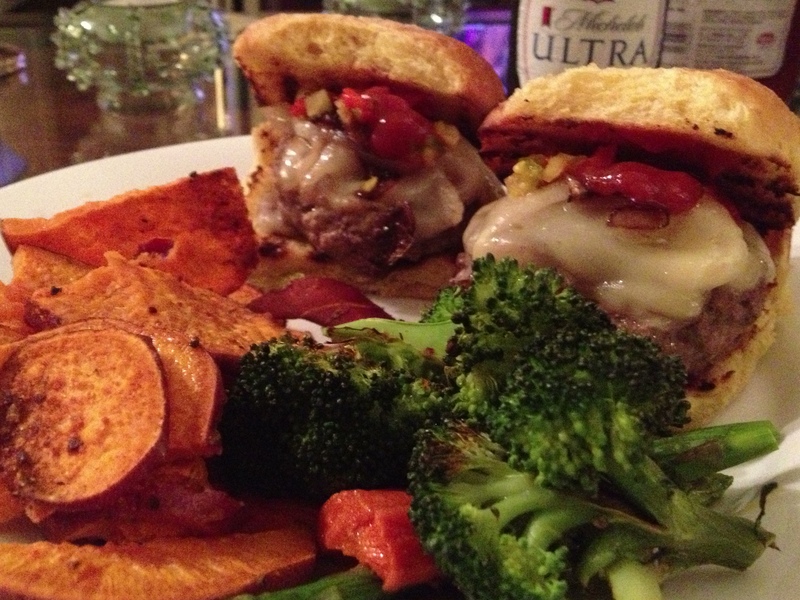 Place each mini-patty on a toasted bun, top with the relish, and enjoy with a cold beer and side of sweet potato baked fries and baked broccoli! 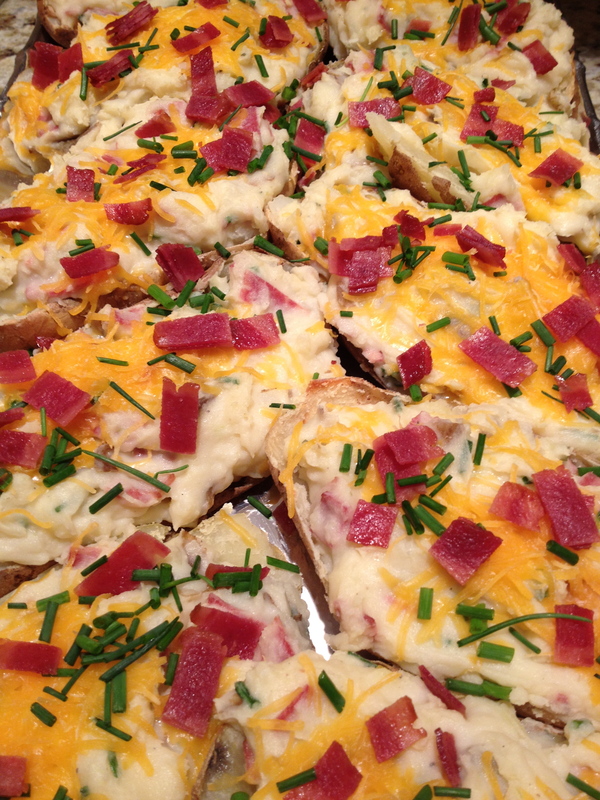 You could also try these sliders with last years Super Bowl feature, Slimmed Down Twice Baked Potato Skin!